A Chain Drive is ideal in many Industrial Applications. 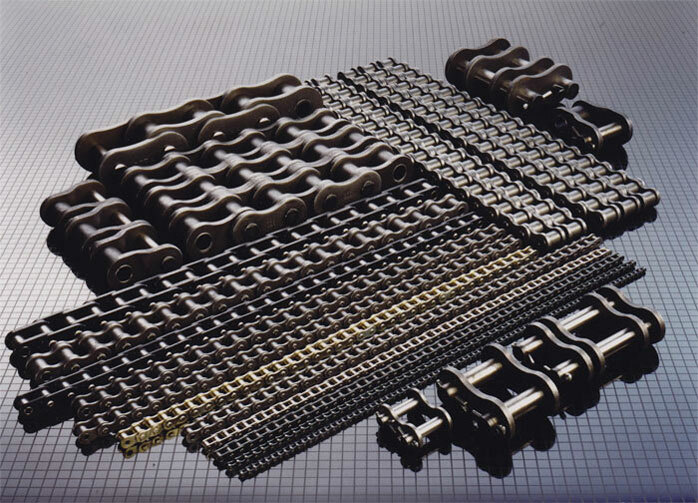 British (BS) and American (ANSI) Standard Roller Chain in Simplex, Duplex and Triplex in St/Steel, Zinc and Nickel Plate. 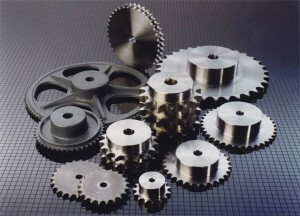 Sprockets in Pilot Bore or Taper Lock. Efficiency, can reach 98% on a well designed drive, due to the small amount of energy lost by friction. Positive and continuous drive - perfect continuity of movement as several teeth are simultaneously engaged. Flexibility, the chain is slightly flexible due to the film of oil between the joints. This allows for slight shocks in the drive which are absorbed. 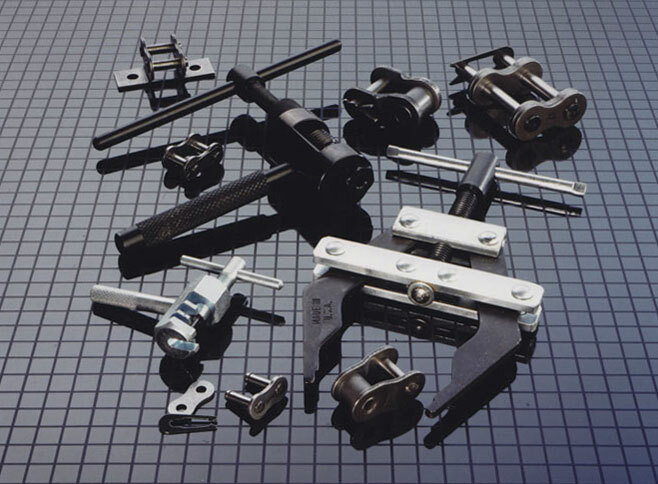 No additional load on bearings, unlike belts, initial tensioning is not required to obtain grip, therefore only the tangential load is taken into account when calculating the load on the bearings. Reduced space requirements, the chain is much narrower than other modes of drive for equal transmitted power, also sprocket diameters can be smaller than belt pulleys.